Everyone is welcome to attend the Barn Dance! Fun for all ages and abilities. No experience is necessary as all dances are taught and called. There’s no fancy footwork involved, you simply walk through a series of movements that you’ll learn quickly with the help of the caller and experienced dancers. Even if you don’t want to dance, come enjoy old time music provided by excellent local bands! 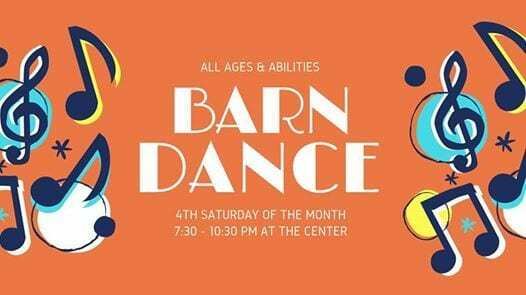 Barn Dances are open to all: singles, couples, families and the entire community. Lessons are available at 7:30pm, dance starts at 8pm. Pay what you can at the door, $5-15.